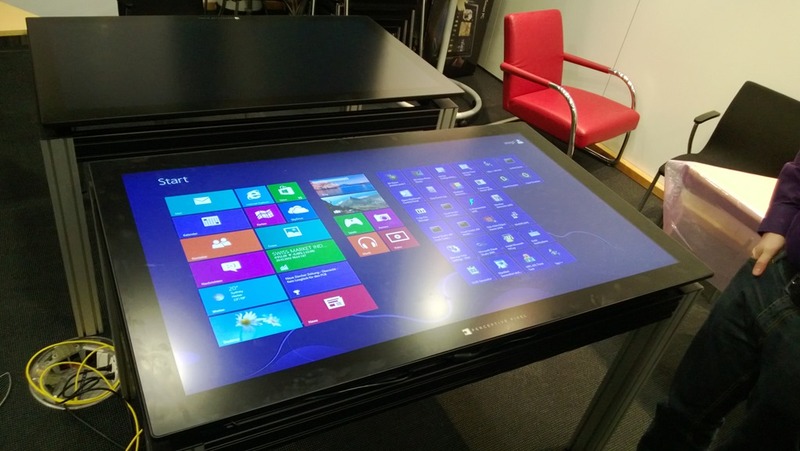 I had the chance to try the Microsoft Perceptive Pixel 55” LCD Multi-Touch Display first hand at the Institute for Computer Science of the University of Zurich. This is by far the best touch screen I have ever seen. 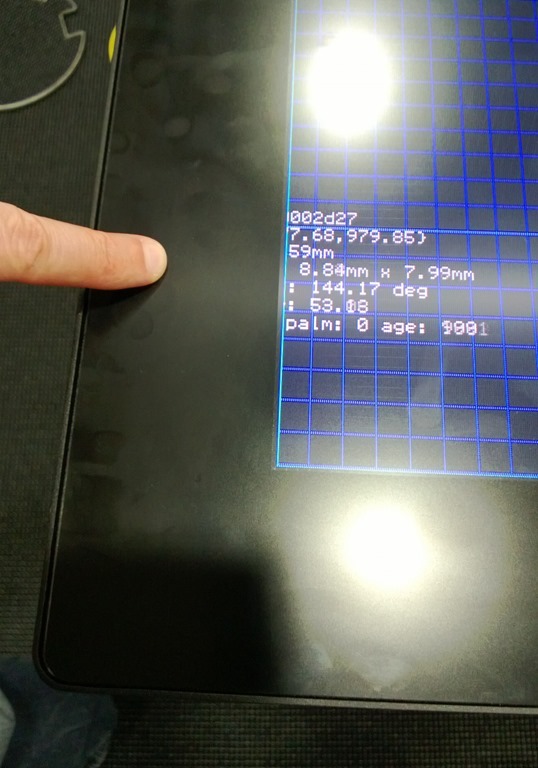 Its slightly matte display with over 100 simultaneous touch points that are measured at 120 frames/sec makes touch manipulation extremely precise. 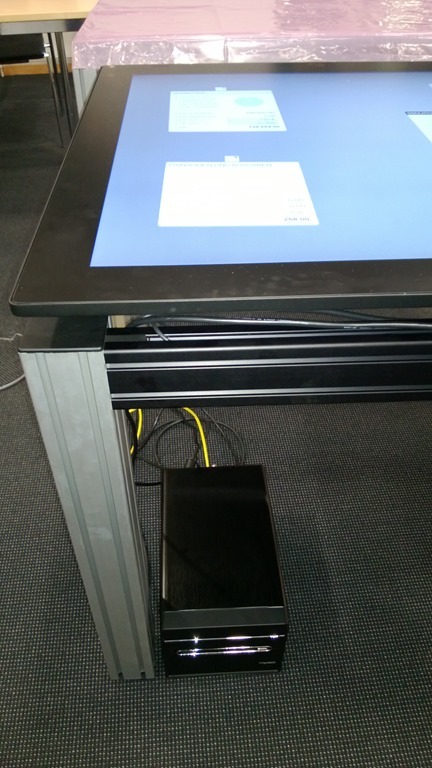 These two displays have been mounted on custom built legs and are running the Windows 8 start screen at the display’s native 1920 * 1080 HD resolution. 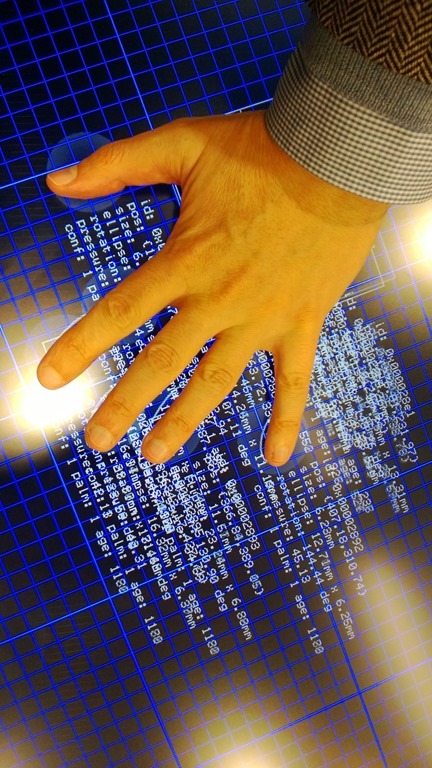 Automatic detection of palm and fingers including orientation allows for filtering out palm input in apps, allowing the user to lean on the table without accidentally generating unwanted touch input. The display features 2 HDMI inputs and an Ethernet connector. 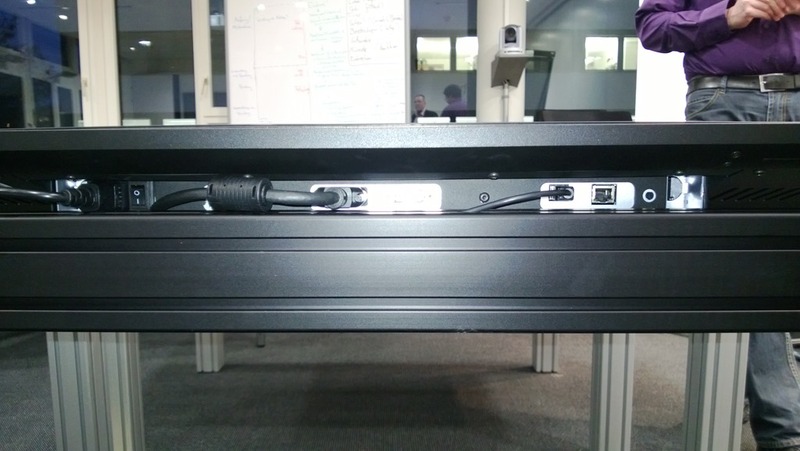 It is connected to a PC via USB cable and special drivers provided by Perceptive Pixel. The unit tested was connected to a custom-built shuttle PC sporting a graphics card that can generate the supported 120 frames/sec. 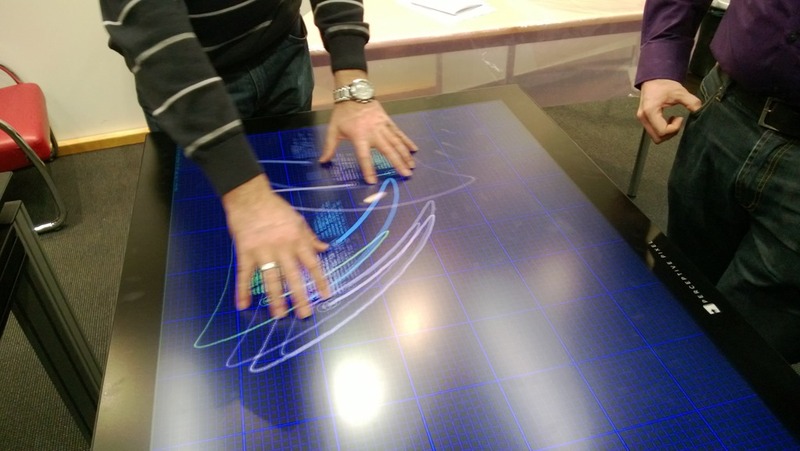 Interesting fact: The table registers touch points even on the bezel, beyond the visible screen. This could be used for “hidden” functions/menus in apps. The feature is called “Overscan Area”. Just head over to perceptivepixel.com.